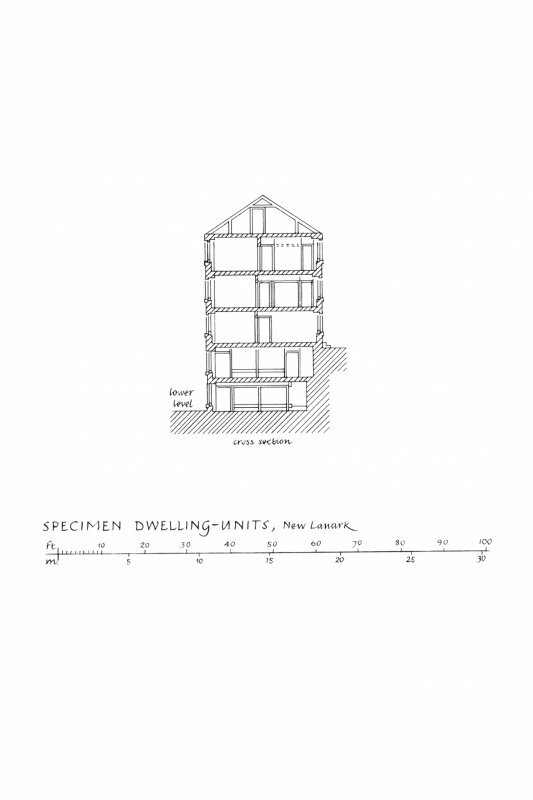 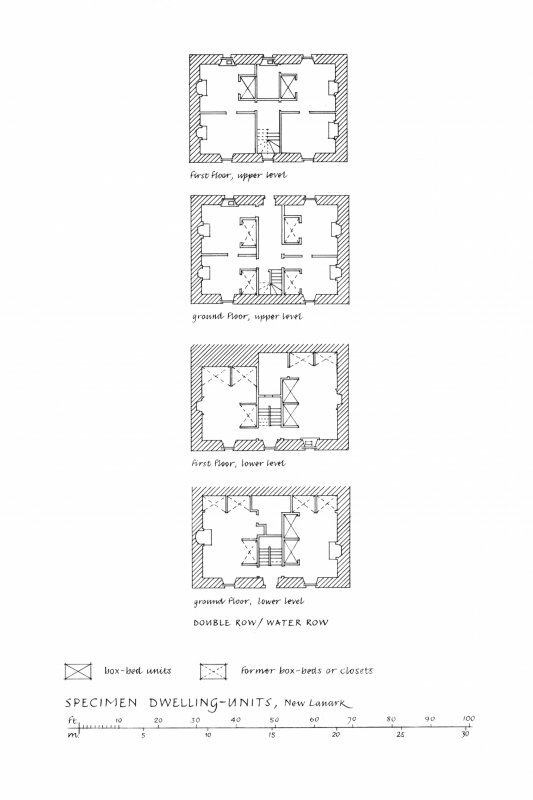 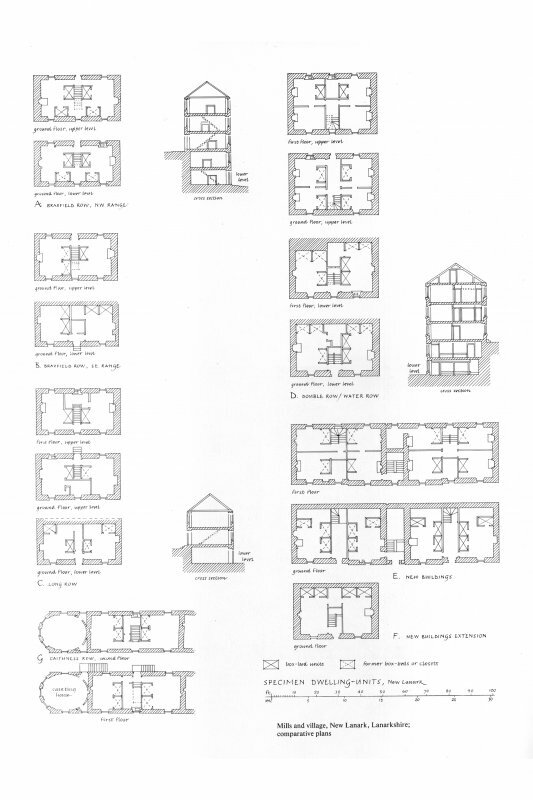 Comparative plans - analysis of dwelling units including Braxfield Row, Long Row, Caithness Row, Double Row, and New Buildings. 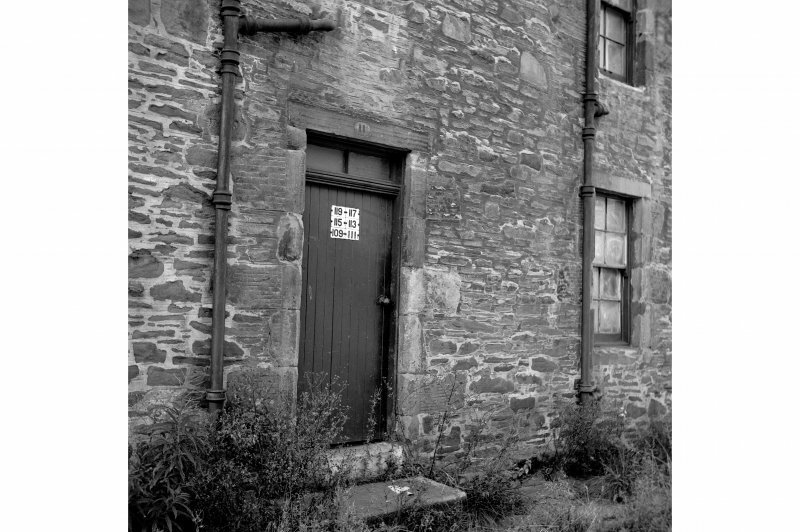 See also NS84SE 58.16 and NS84SE 58.18. 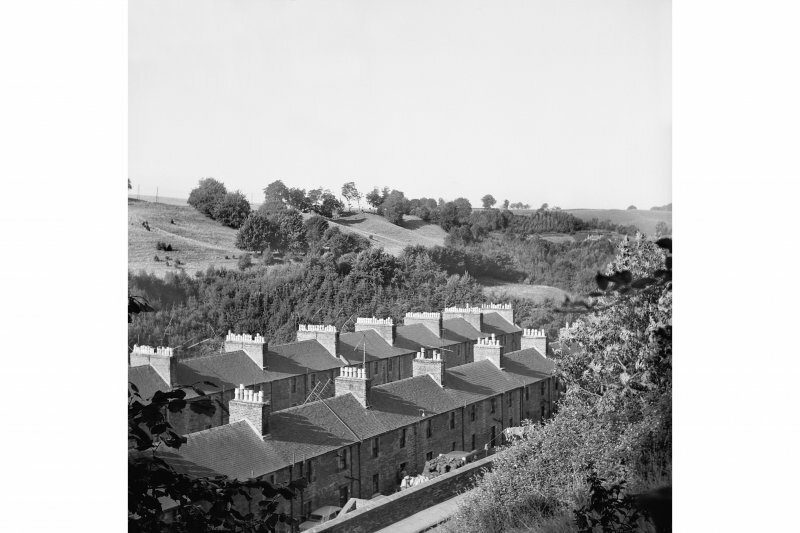 Founded in 1785 by David Dale, a Glasgow merchant, taking advantage of water power from the River Clyde, the village became internationally famous under the management of Dale's son in law, noted social and educational pioneer Robert Owen. 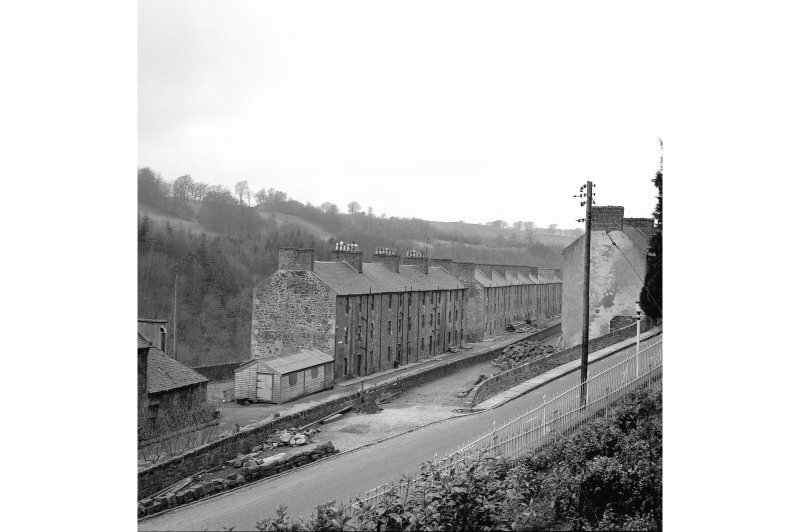 The mills were closed in 1968, with the village falling into disuse. 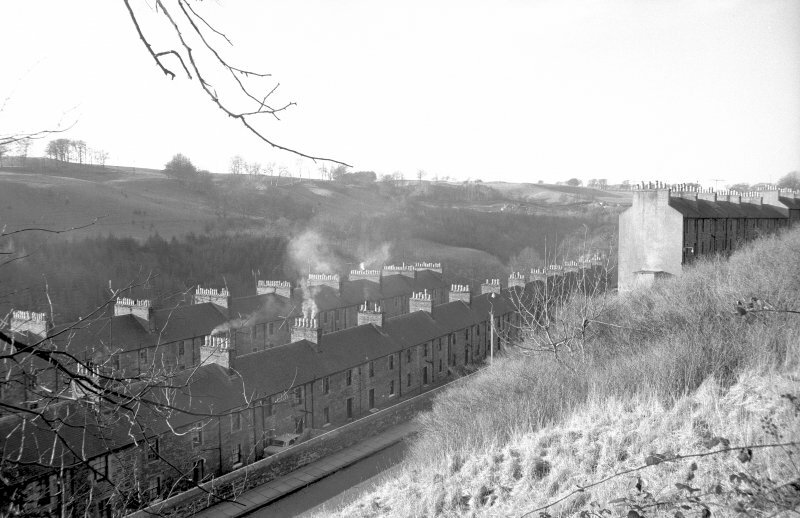 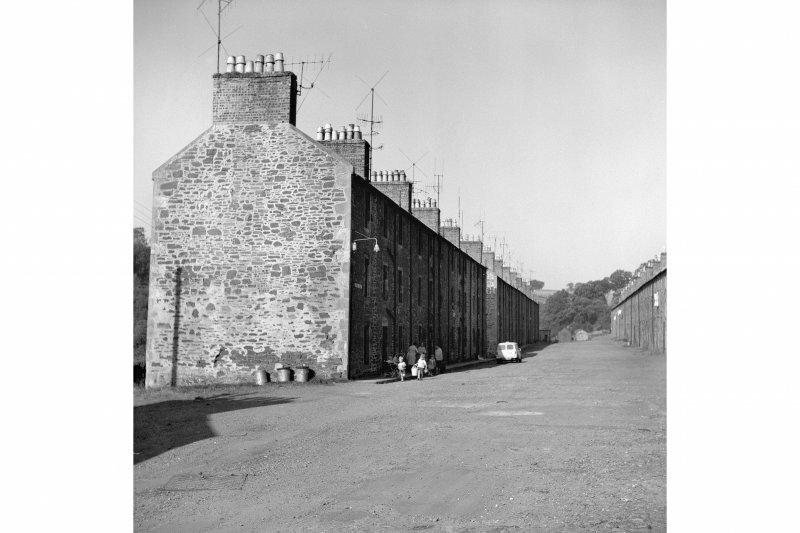 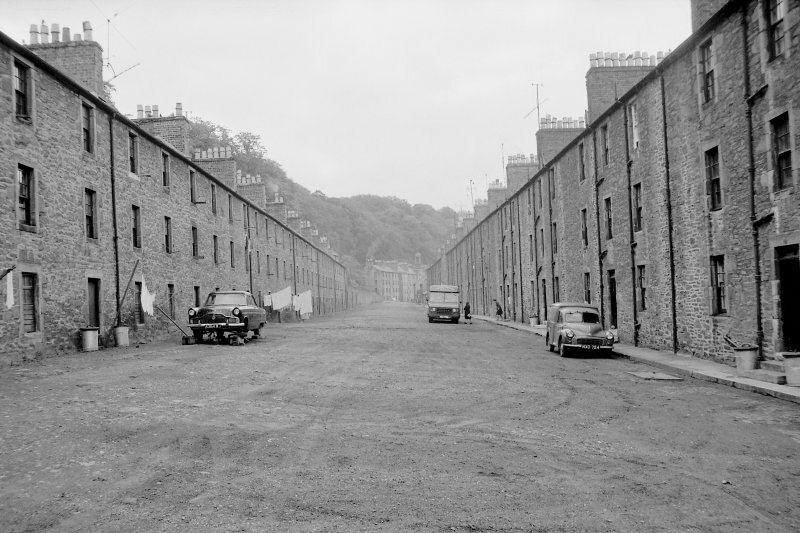 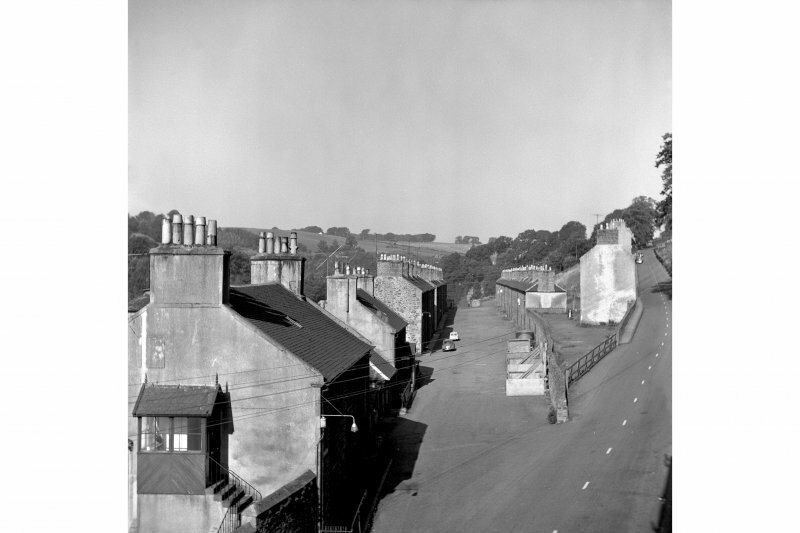 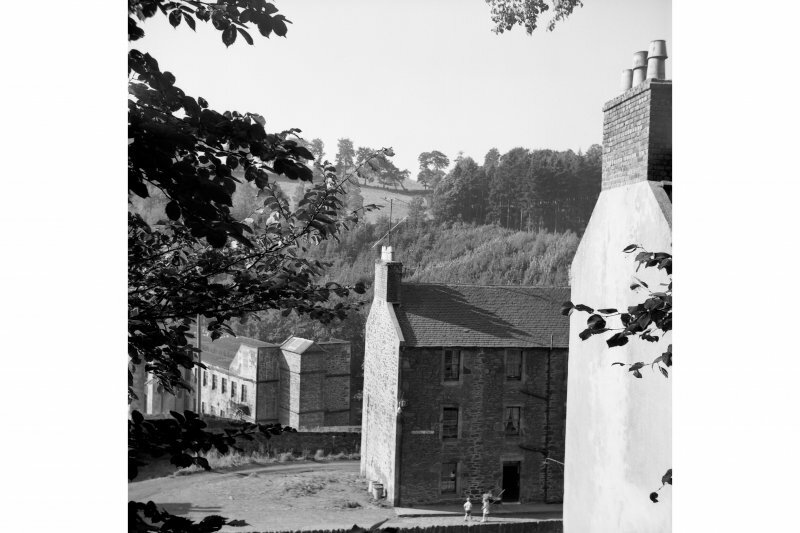 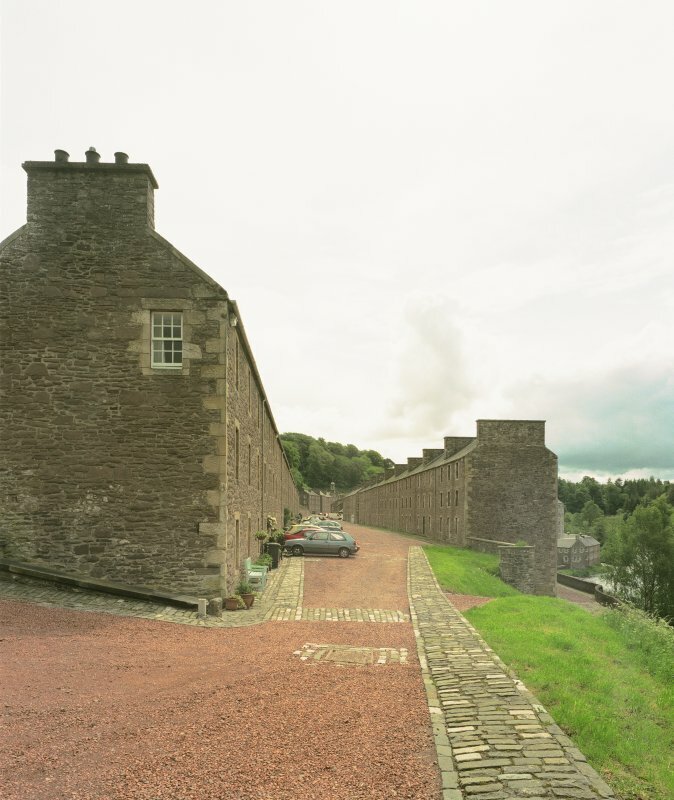 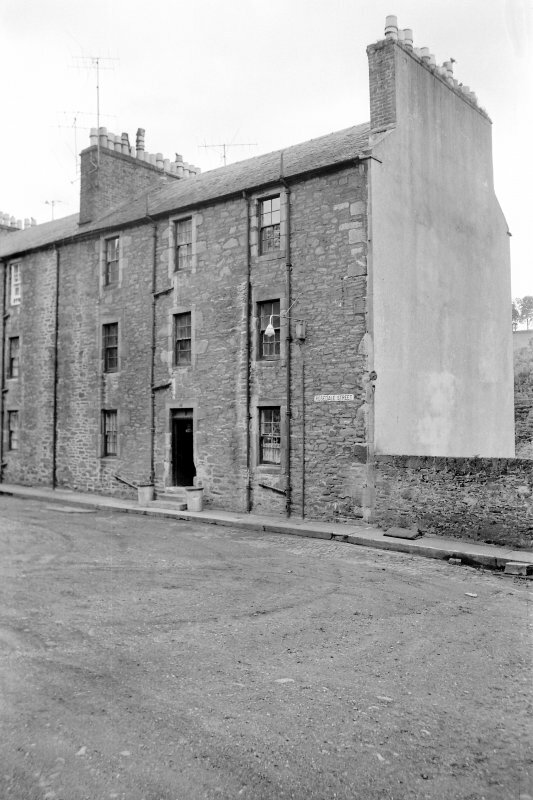 New Lanark Conservation Trust was formed in 1974 to bring the site back into use. 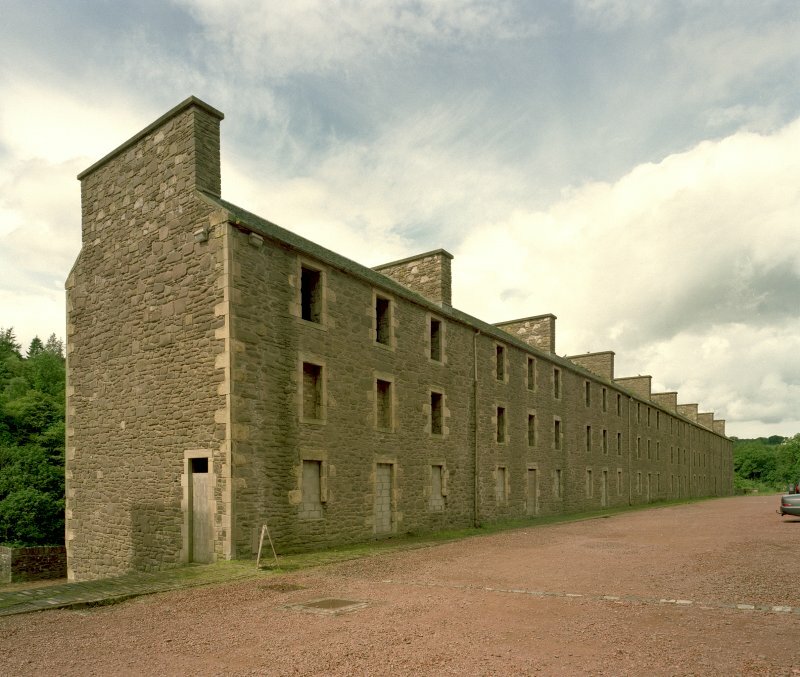 In 2001 the village was inscribed as a World Heritage Site by UNESCO. 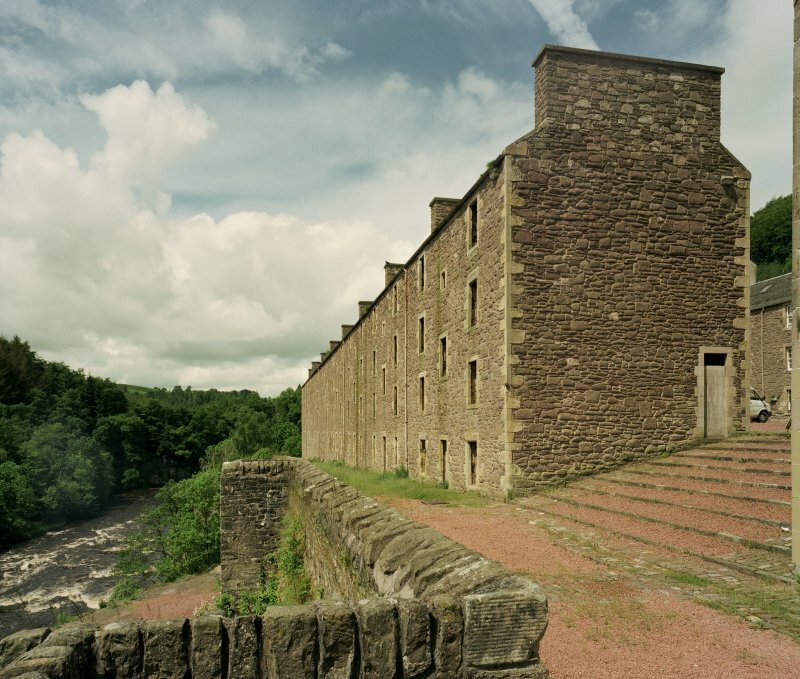 (New Lanark Conservation Trust).